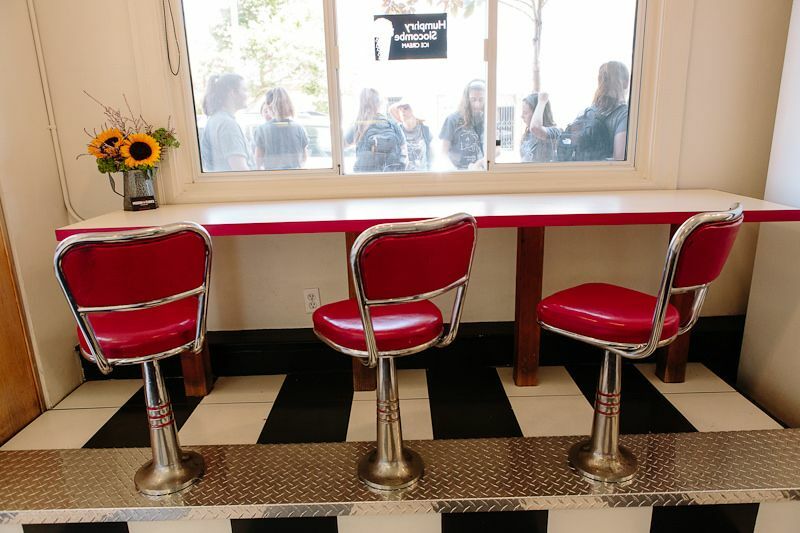 We teamed up with American Express to seek out local food businesses that you won’t want to miss when traveling across the U.S. Today, it’s San Francisco sweet shops serving up some of our favorite berry desserts. See the full Shop Small® Guide to San Francisco sweets here. 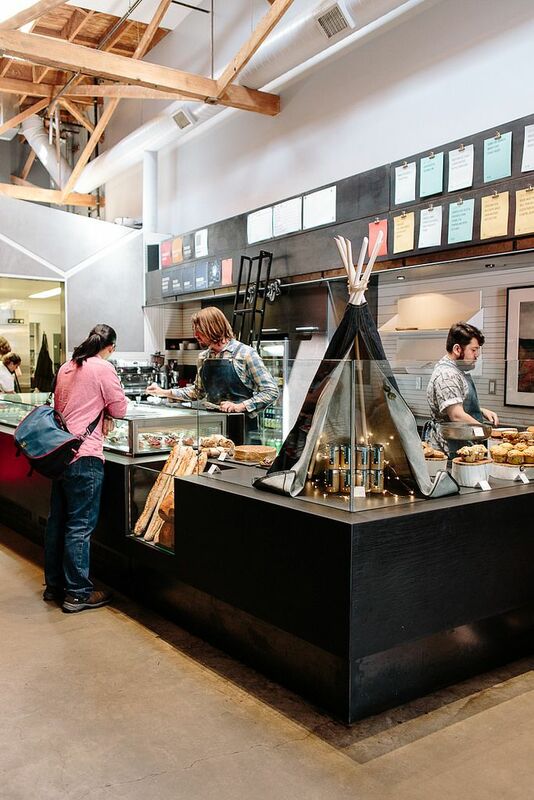 The pastry case at Craftsman & Wolves. We wouldn't blame you for adding fresh berries to as many meals as possible—we're advocates of eating them as often as you can. Sneaking a pint of raspberries for breakfast, adding strawberries to your sundowner—and, always, baking them into pie. During the lazier moments: cobblers, crisps, schlumpfs, and the like. Once you’ve done all you think you can do, you peel away from your kitchen to see what everyone is doing with these riches. You won’t be surprised to find that talented cooks and chefs are, too, doing wildly interesting things with their berries. They’re riffing on classics and coming up with signatures. They’re completely geeking out—over fruit. And the resulting desserts? You can taste the excitement. And, after we finish our last bites, we just want to get back to the kitchen to tinker some more. The Hazelnut Frangipane Tart from Marla Bakery. 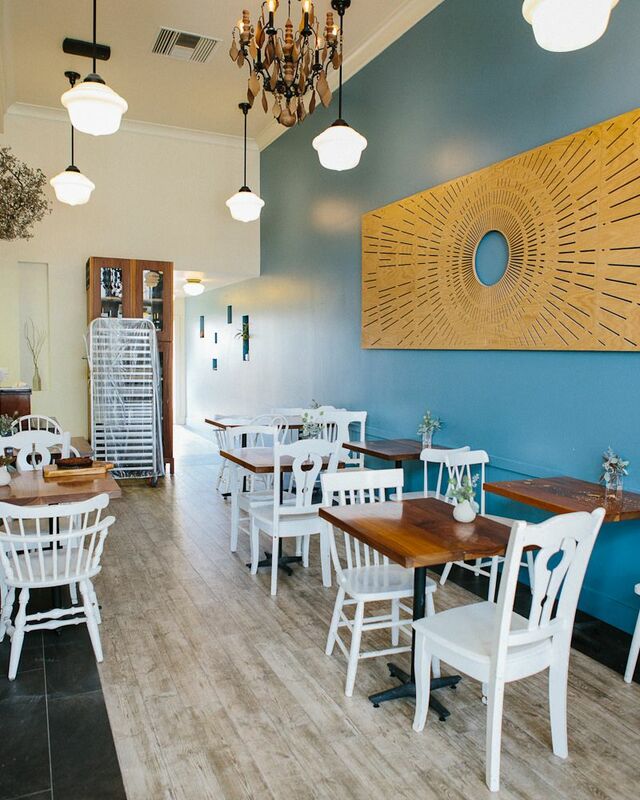 San Francisco's Outer Richmond district—cloud-clogged and far from downtown—might not be in your visitor's guide, but you should make the trek because it’s the land of neighborhood spots. 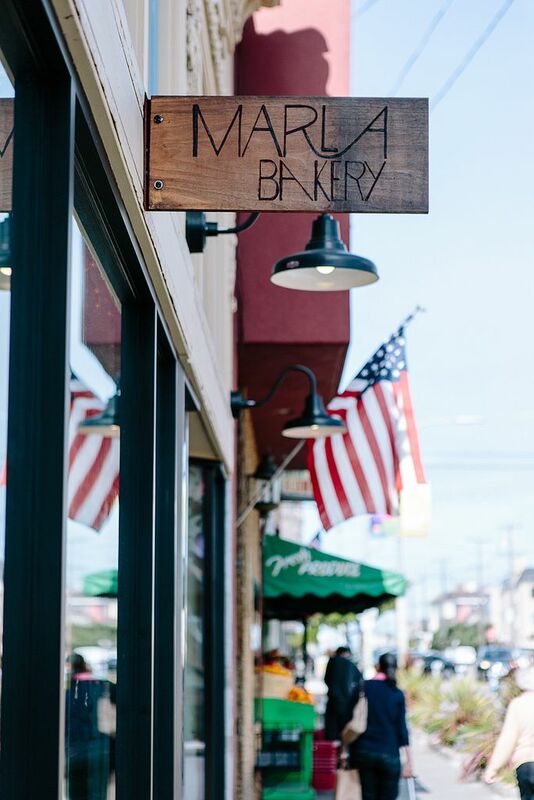 One new addition is Marla Bakery, run by a husband-and-wife team who live three blocks from the storefront. You’ll find baby Eton on Mom’s hip, “helping” her make an ever-changing host of pastries. 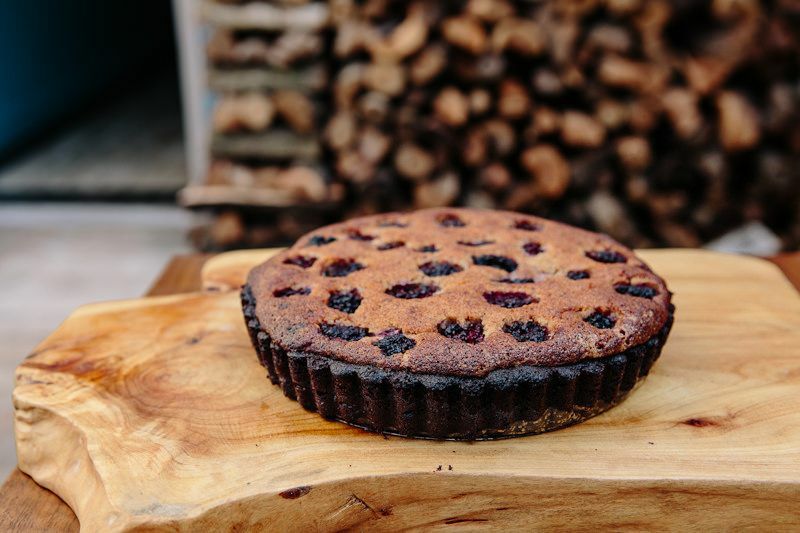 Add a caramely chocolate rye crust to the intensely flavored filling of hazelnut and berry, and you have Joe wild with excitement, too distracted to talk about the other berry things that caught my eye. 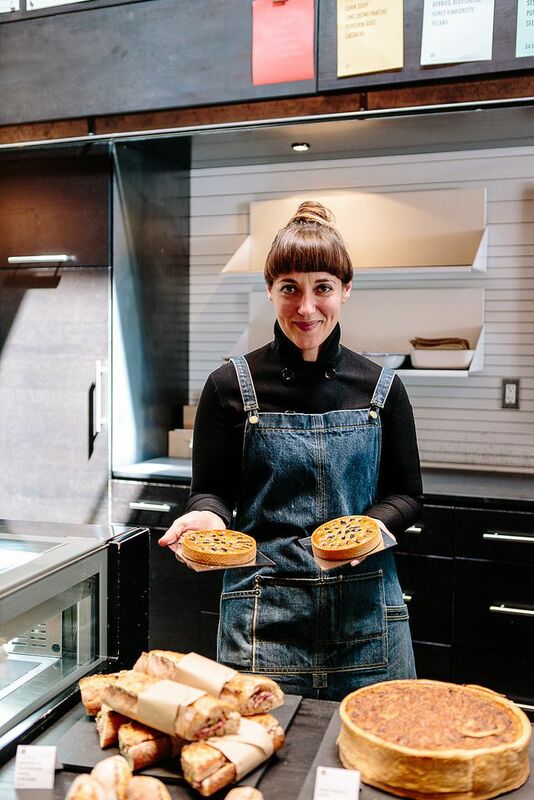 For Angela Pinkerton, the pastry chef at Craftsman & Wolves in the Mission District in San Francisco, seasons dictate the case offerings. This means saying goodbye to certain favorites (the blackberry-black sesame tart she was making at the patisserie earlier this summer) and tinkering towards new versions (like the recent mulberry-pistachio tart, pictured below left). And right now, they're baking up loads of strawberry rhubarb muffins. 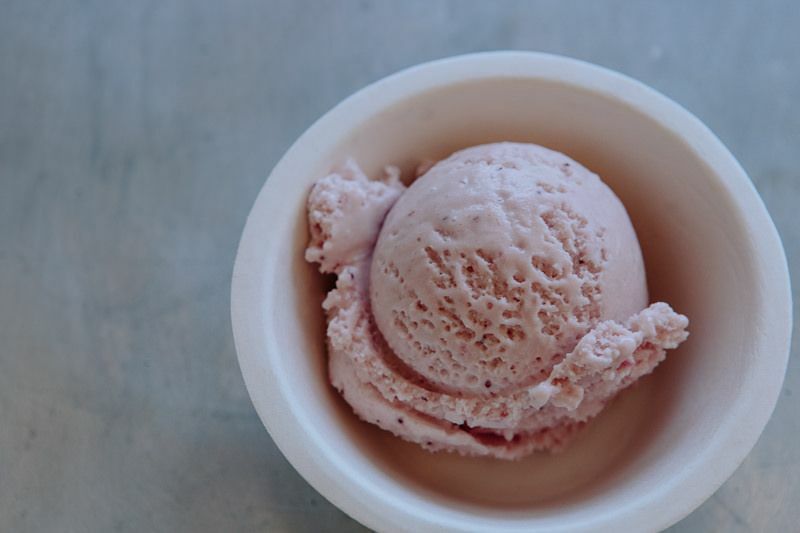 The Boysenberry Crisp Ice Cream at Humphry Slocombe. 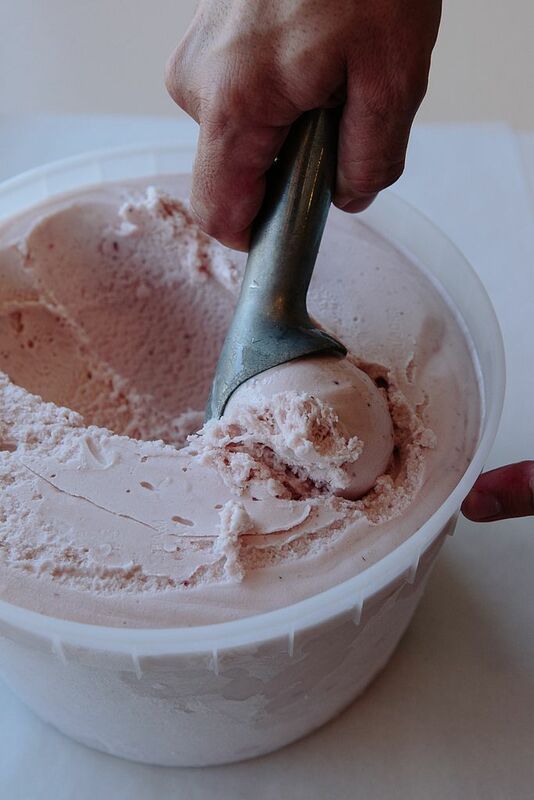 Ice cream makers—even the eccentric ones—have a hard time avoiding traditional berry baked goods. 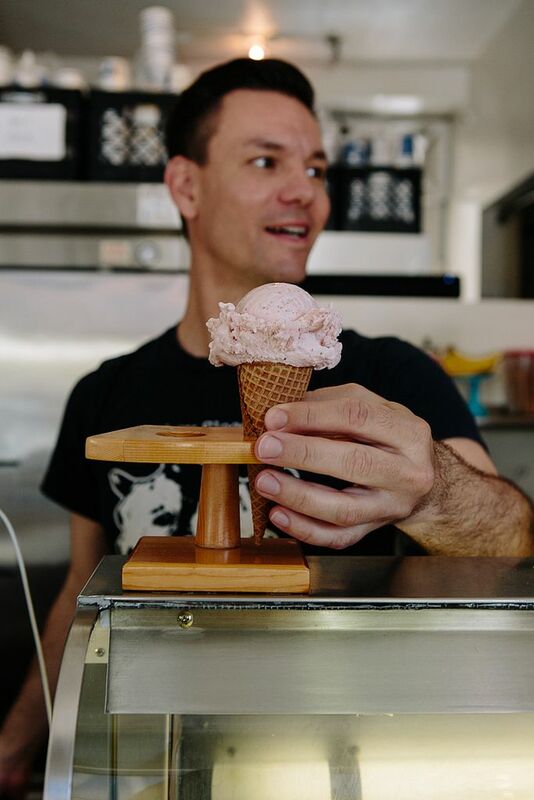 “A defining Humphry Slocombe characteristic is we take classics and reinterpret them into ice cream flavors,” said Jake Vahey, co-owner of the Mission District ice cream shop that dared to put butter, cornflakes, and red wine in ice cream. For their Boysenberry Crisp flavor, they took a slightly tart brown butter base, jammed it with boysenberry jam, and topped it with a topping you might find on a (not frozen) crisp. The ice cream is a twist on a classic that’s close enough to the original that it doesn’t seem gimmicky—and when such quality products are involved, it’s bound to taste great. The jam is made in-house, of course, using berries from Yerena Farms, which is where Marla Bakery also happens to get their berries. But, lest we forget: Berries are fleeting. 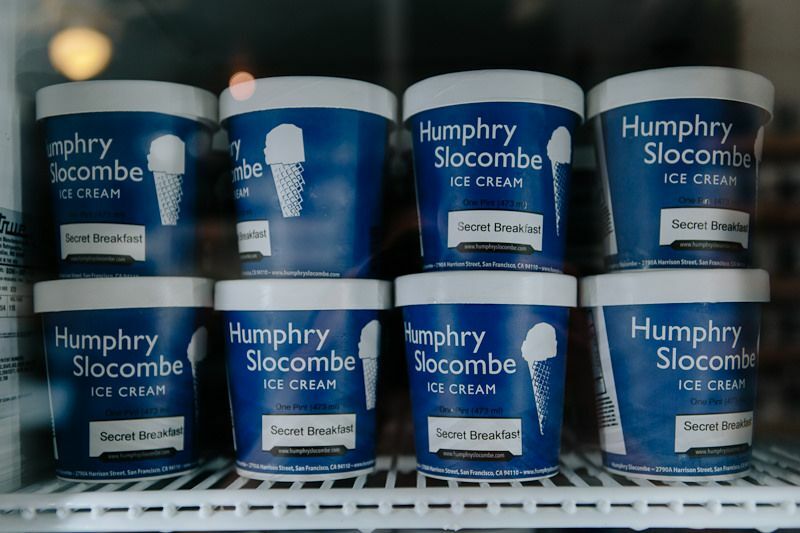 When boysenberries are done, Humphry Slocombe will be doing a Strawberry Crumble flavor—and after that, something new, since they've always got a spot on the menu for something with berries. 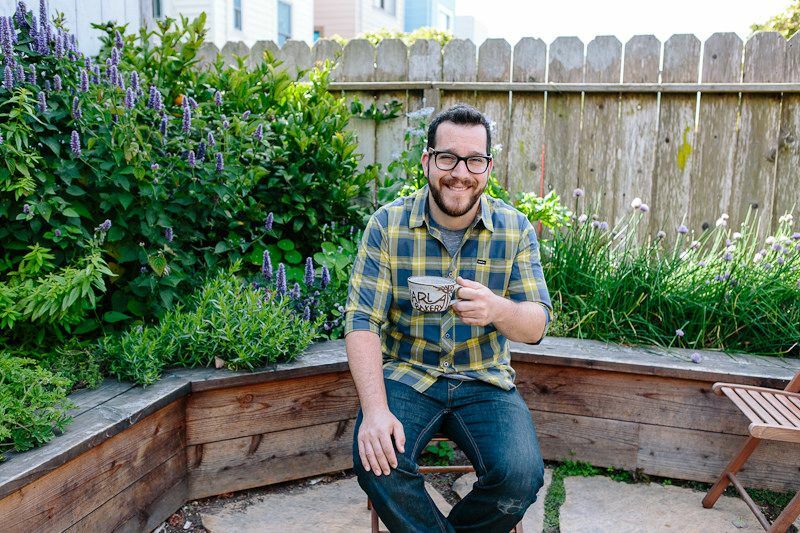 Check out the full guide to San Francisco sweets on the Shop Small® Map. Sorry, but Craftsman and Wolves is overhyped. I received bad service, they cheated me on the check and were rude when I pointed it out, though they did correct it, and I thought their flavor combinations were odd. I live in SF and don't have an interest in any bakery so my comments are unsolicited. With so many great bakeries and a location that is less than ideal, I'd their customer service would be stellar. I won't go back. 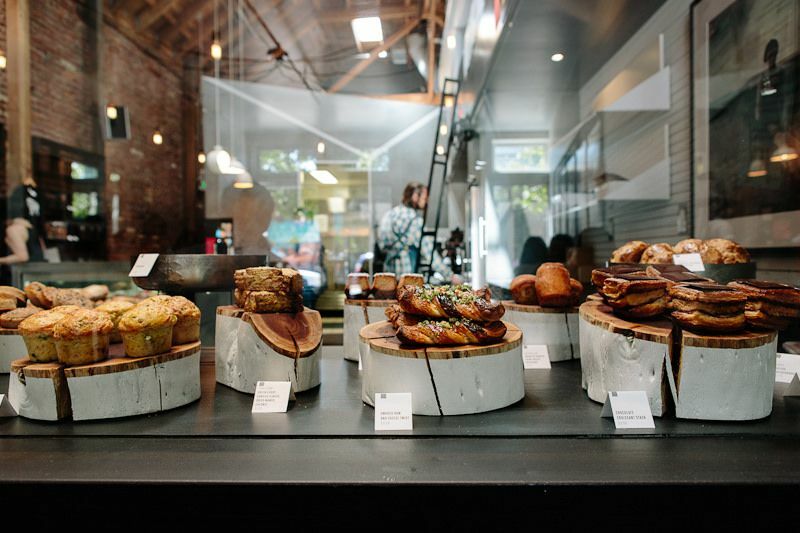 Don't sleep on the Strawberry Kouign Amann at Craftsman and Wolves also!!! Is there any outlet near Mission street San Franciso??? 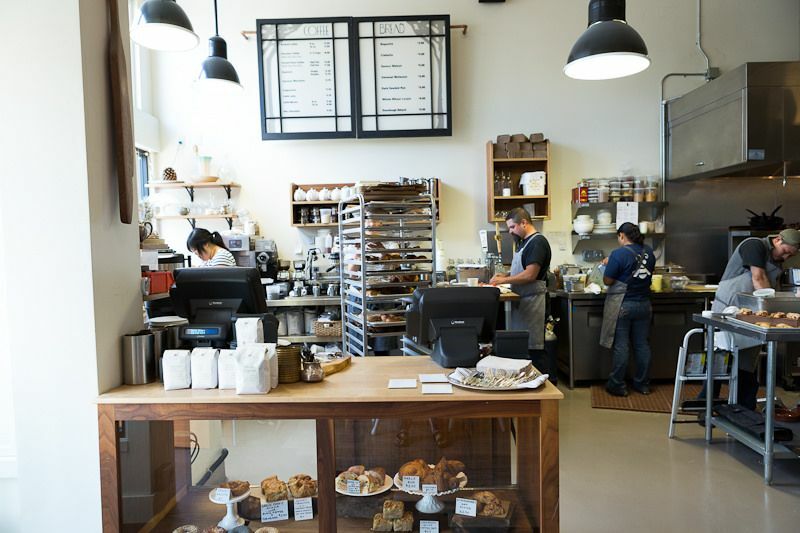 Depends on what part of Mission street, but Craftsman and Wolves and Humphry Slocombe are both in the Mission district near Mission street. OMG, I've eaten everything on this list.